All that’s left is to ply it. I think I’m going to try making a plying ball to see if that works better than plying from a center-pull ball. The only thing I’m slightly worried about is that I know there are some spots where the singles are more than a bit thin. I’m already anticipating them breaking as I try to create a plying ball. 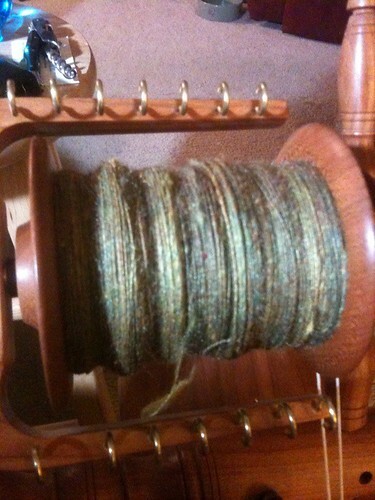 This entry was posted in Spinning and tagged batts, merino, silk, Spinning by zardra. Bookmark the permalink.